It seems like we were just serving folks on the patio – yet we’re already reading stories about the tree lighting ceremony downtown next week. Ready or not, the holidays are upon us. During the holiday season in 2013, long before we opened, we posted some of Chef Andy’s recipes for delicious, less traditional additions to your holiday meals. We’re reviving that this year. So as a little gift to our guests, here are a couple of dishes suitable for the family table throughout the season. (And if you’d like a few more recipes from Andy, you can check out the new 4 Detroit cookbook, published by the boutique Nora and featuring recipes from Andy, Dave Mancini (Supino), Josh Stockton (formerly of Gold Cash Gold), and Brad Greenhill (Takoi). Pre-heat oven to 400 degrees F. If carrots are not of uniform size, cut the longer ones so they more closely match the smaller carrots. Otherwise, leave whole. Add carrots, oil, and salt to a mixing bowl. Mix well and spread onto a sheet tray, making sure the carrots are not crowded. Roast in the oven until the edges are browning and just tender, about 15-25 minutes. 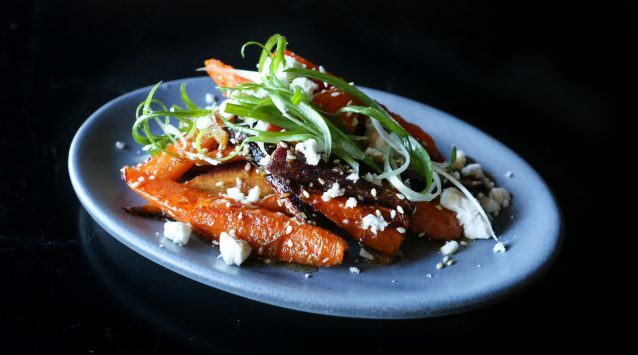 Return cooked carrots to the mixing bowl and season with honey, cumin, sesame, and lemon juice. Toss well. Transfer to a serving platter and top with feta and chives. In a large pot or bucket, whisk together salt, sugar, and water until dissolved. Add the remaining ingredients, including the pork loin, and refrigerate for 12-24 hours. Remove from brine, rinse, and pat dry. Allow to sit at room temperature while you make the paste below. Pre-heat the oven to 375. In a food processor, combine garlic, cilantro, oil, coriander, fennel, and chili flakes. Process to a smooth puree. Smother the pork loin with the paste and place on a roasting rack. Roast until the internal temperature reaches 135, about 45 minutes to an hour and a half depending on the particular cut of pork. Allow to rest for 15-20 minutes before carving. Combine all ingredients in a bowl and season with salt to taste. Slice the pork, serve on a platter, and serve with the salsa on the side. Summer always brings a number of fun changes to the wine list. Indeed, almost the entire glasspour list has changed over the past 4 or 5 weeks. But there are a couple of wines that we’ve had to restrain ourselves from drinking up all on our own. Native to Emilia-Romagna, Albana is most often found in sweet wines. But with Vitalba, the winemakers at Tre Monti harness its lovely aromatics and exotic fruit qualities in the form of a very distinctive dry white. The wine is left to age on its skins, similar to a red wine, and it rests in an ancient clay amphora, resulting in a mildly tannic finish and a surprisingly rich texture. With notes of dried stone fruit and a saline mineral quality, it’s one of our favorite wines on the current list. A rare treat – definitely not something you’ll see every day. Grab a glass alongside the trout or our charcuterie board. We also recommend pairing it with leaving work a half hour early on a Monday. Jean-Charles Abbatucci’s family roots on Corsica go back generations, and he and his father have managed, through a great deal of work, to help preserve many of the island’s indigenous grape varieties. Among them is Sciaccarellu, valued for its light, spicy qualities and typically blended with other grapes. 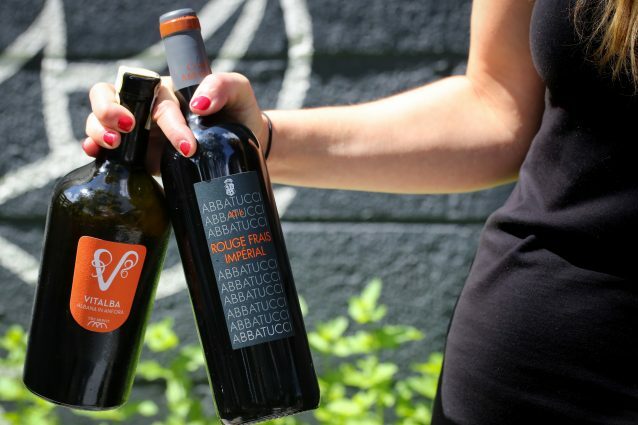 But Abbatucci makes this single-variety wine that showcases all of Sciaccarellu’s best qualities with a beautiful floral and strawberry nose and a balanced, easy-drinking flavor. Abbatucci is known to drive his tractor out to the vineyards to play traditional Corsican music to his vines. It might sound absurd, but it’s hard to argue with the guy when the resulting wine is this delicious. One Fish, Two Fish, Green Fish, Which Fish? On a recent episode of Frontline on PBS, author Paul Greenberg asked the question, “What fish should I eat that’s good for me and good for the planet?” Seafood happens to be a frequent subject of guest inquiries too: Is it OK that the trout is farm raised? Why are the scallops so expensive? Can I eat oysters any time of the year or only in months containing the letter “R,” as is often reported? Does the Loch Ness Monster exist? Fortunately, the United States is now one of the great countries in the world when it comes to managing fish stocks and having organizations that promote transparency in where our seafood comes from. And with just a modest amount of work, restaurants like ours can take advantage of that to bring consumers some excellent product that is healthy and responsibly fished. What About that Oyster Thing? 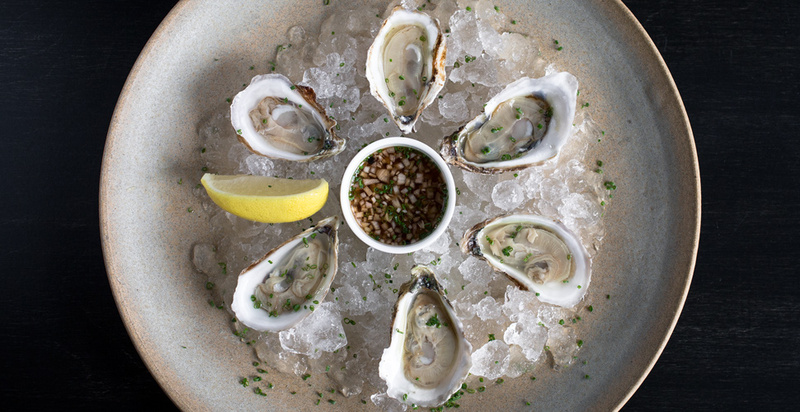 The adage about not eating oysters in months without the letter “r” is thankfully as timely as an 8-track player – and it was never really about sustainability so much as flavor and health. Oysters spawn in the summer, and they don’t taste particularly good while spawning or when they’ve been growing in warm water. Combine that with a lack of refrigeration on ships and docks, and summer oysters were bound to be a mouthful of trouble. Today, oysters that restaurants serve are almost always farmed, and many don’t have the opportunity or genetics to spawn. They’re also typically grown in colder waters, which help with flavor. Plus the government has regulated how oysters are stored after harvest, so unless the restaurant serving them or the wholesaler selling them are doing a poor job, your oysters are good to eat year round. Ha, Ha. Well, Is Wild Fish Bad? The biggest concern is overfishing. In the United States, most fish and most regions are now regulated in a way that keeps over-fishing from becoming a problem. There are, of course, downsides to regulation – e.g., statistical modeling for catch limits might promote the growth in population of a predator that changes how other fish compete in a regional ecosystem – but overall, fish stocks in the United States are pretty good. Alaska, in particular, continues to manage its wild salmon population well, and the northeast US has done a great job of restocking many of its classic catches. Of course, wild caught fish from some places in South American or Asia might be coming from low stock levels and are endangering the population. That wild fishing has improved so much doesn’t mean that all farmed fish is terrible by contrast. Many fish farms do expend absurd resources on feed. But some species (like the aforementioned oysters) are best farmed. And there are both open water and inland, tank-based approaches that can yield delicious, sustainable results. Why Does Some Fish Cost So Much? Some fish is inexpensive largely because of the conditions in which its grown. Just like a factory farmed chicken reared in its own excrement, pumped full of water, and shrink-wrapped in its little Styrofoam coffin is inexpensive, so is fish that is unsustainably caught or grown in self-polluted waters. Over the past decade or so, the United States has heavily regulated its fishing industry so that both farmed and wild fish from our own waters are (usually) handled properly. One of our favorite seafood purveyors, Foley Fish, only works with sustainable fishing operations whose practices include using hooks that don’t mutilate the mouth of the fish (so they survive if miscaught), using appropriate gear for different seabeds, using strict catch limits, and so on. Obviously, there are costs associated with that. However, 90% of seafood consumed in the United States doesn’t come from the United States, so it’s easy to imagine why much of our seafood is so inexpensive. If it’s brought in with tons of bycatch from polluted waters or if it’s farmed in its own excrement in overcrowded farming nets, the production costs are obviously comparatively very low. When it comes to scallops in particular – something we served all winter – there’s another wrinkle. 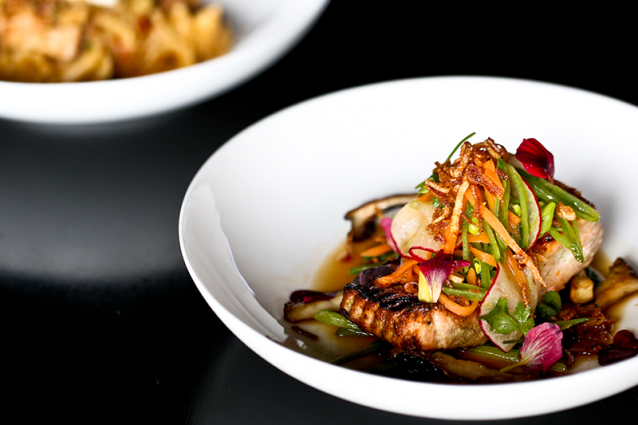 While people refer to tuna as the chicken of the sea, it might be more accurate to give that moniker to scallops. Just like factory farmed chicken that gets pumped full of water and hormones to inflate the size of the breasts, most scallops you’ll find are packaged in treated water after being processed. Scallops absorb the water exceptionally well, so they plump up to an otherworldly size, gaining weight. However, they also lose their characteristic sweetness and don’t sear nearly as well. So-called dry packed scallops cost a bit more – but they taste substantially better, are denser in texture, and brown more thoroughly. How Do We Know What to Buy? Unfortunately, the reality is that most shrimp sold in the US is not guaranteed to be sustainable. In fact, almost 80% of shrimp sold in the US comes from Asia with little to no guarantee of its origin or under what conditions it was grown. The same goes for the ever-popular tilapia as 80% of it comes from China. The good news is that there’s ample information out there about what to buy to stay safe in terms of toxicity and to stay smart in terms of sustainability. Well known for a reason, the Monterey Bay Aquarium’s Seafood Watch is a good all-purpose tool, though some of our suppliers on the Atlantic coast would argue that their data is less accurate for Atlantic fish. For example, Atlantic cod populations are currently low – but they’re rapidly rising because the populations are heavily managed and regulated, so not even the government regulators consider it a “bad” fish to buy. Another tool is Fish Watch, a government-published resource. It’s not quite as navigable of a website, but there’s a ton of valuable information available. As with anything, the devil is in the details. If you’re concerned about what type of fish you’re eating and where it’s from, the best bet is always to go to sources you trust – whether that’s a restaurant or a fish monger – because they’ll have done most of this homework for you. Spring is an exciting season at the restaurant. The hop vines and herbs on our patio start growing, we get ramps and asparagus, and general interest in white wines is renewed. Over the past ten days, we’ve changed all the whites and rosés we offer by the glass. Not that we’re not stoked about our reds too — we’ll write about some of those next month — but it’s a group of wines we enjoy tremendously. The Erbaluce grape has been grown in northern Piedmont, along the edge of the Italian Alps for hundreds of years, yielding wines that display great freshness. Cieck has been working with the grape since its inception in 1985. And their entry-level example offers a tart apple nose and characteristic acidity that we enjoy with oysters, vegetable carpaccio, or even just a sunny day. It’s not uncommon that unheralded grapes or regions can provide great value – complexity, distinctiveness, and concentration for reasonable prices. Such is the case with this bottle made from 100% Jacquere, farmed from property in the Bernard family since the 1700s. Eighty-year-old vines help lend great concentration of citrus and mineral flavors, and a prolonged exposure to the lees during aging provides great texture. Try it with the grilled trout or a number of Andy’s vegetarian dishes. Last autumn, we went to New York for an importer tasting where we met Isabelle Collotte, who makes wine with her father in the northern Burgundy appellation of Marsannay. While he still makes most of their wines, Isabelle – who recently graduated from winemaking school – has taken over the whites. Made from chardonnay grown on a mixture of two soils selected to give a balance of ripeness and freshness, these were our favorite white burgundies that we tasted last year. A tiny portion of new oak barrels gives them just a bit of welcome richness to accompany an intoxicating stone fruit nose and fresh flavor. We’re excited to bring two vintages to Michigan. Regular guests at the restaurant need no introduction to this rosé made largely from the Provencal grape Tibouren. It’s the only rosé we’ve ever opted to serve by the glass for good reason. Consistently warm, dry weather led to a heralded vintage in 2015, and Clos Cibonne produced wine with an exceptionally rich, beautiful texture. And its unique aging in 100-year-old open-top barrels under a yeast fluerette still produces the most delicious, dry, food friendly rosé that we’ve had at this price. We love it, and we’ve already bought enough that we’ll be pouring it all summer long. We’re excited to host two wine dinners at Selden this coming month. Tickets for each are only available online. One of our favorite wine importers is De Maison Selections, which brings to the States a number of wines that our regular guests will recognize – not the least of which is Clos Cibonne, the only still rose we’ve ever poured by the glass. Representatives of three of the wineries in their portfolio will join us for dinner to share their stories and guide us through their wines. As an aside, these wine dinners represent the types of wines that we love to feature at our restaurant. It’s a different approach than large, commercial producers take, and we’re able to bring these winemakers to Selden because of the work we’ve done building partnerships with suppliers and wineries. 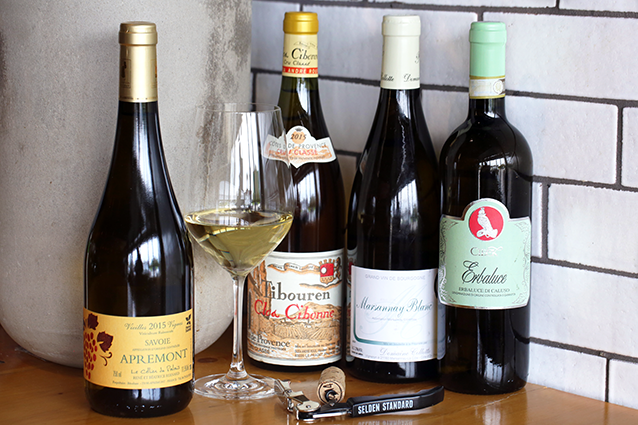 In that spirit, an article published in the New York Times last week on the “virtues” of so-called industrial wines inspired us to share some thoughts on how and why we choose to work with certain wines. Enjoy!